Freeborn Roman boys were given a pendant called a bulla soon after birth, which contained an amulet to protect them against evil spirits. They wore the bulla throughout the vulnerable years of childhood until about the age of 17. 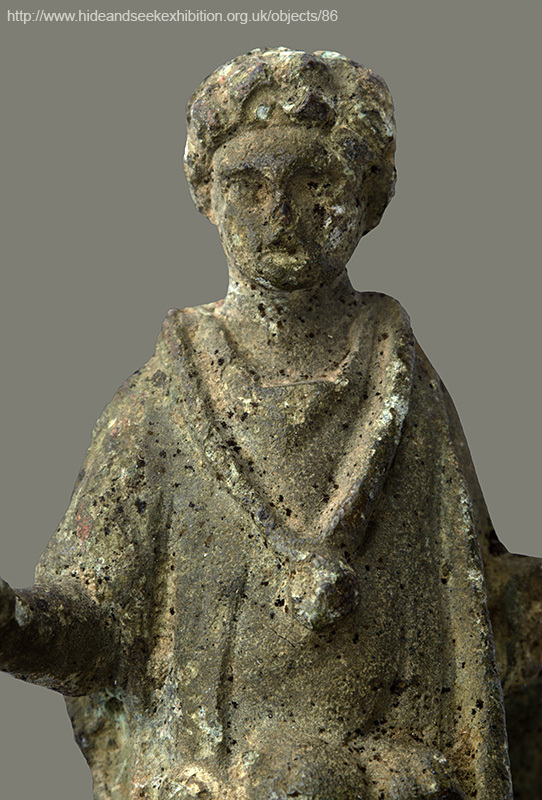 This statuette is probably of the Emperor Nero as a child, wearing his protective bulla.